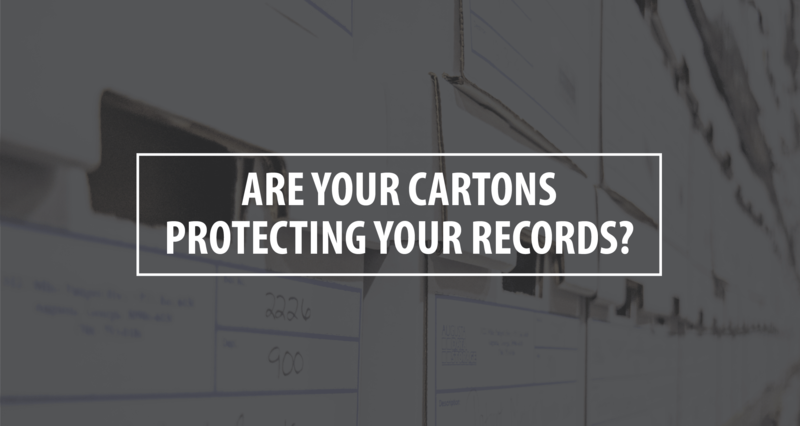 ﻿ Are Your Record Storage Cartons Keeping your Records Safe? 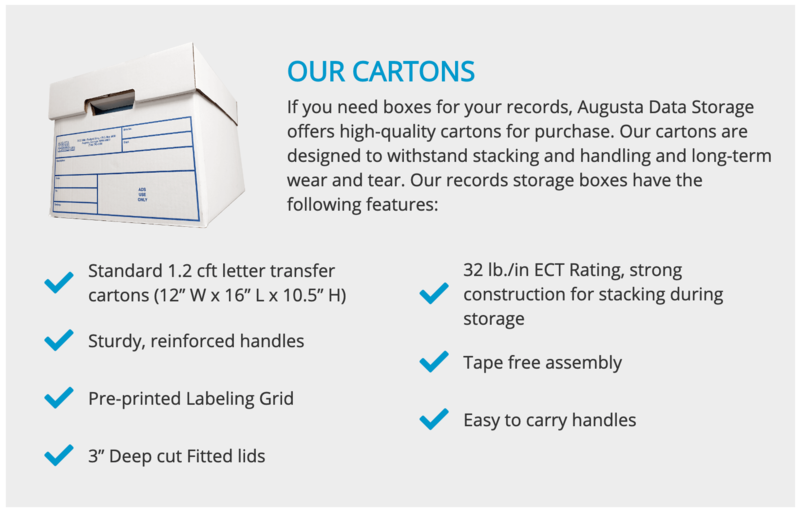 - Augusta Data Storage, Inc.
Are Your Record Storage Cartons Keeping your Records Safe? Many Augusta area businesses maintain on-site storage areas for their files. From office spaces with several filing cabinets to rooms full of racks and storage boxes, there are various ways businesses are storing and archiving their paper records. If your organization has a storage room, attic or basement you use to store boxes of archived files and records, here are some things you might want to consider when sourcing bankers boxes and file boxes for your records. It’s a common mistake, but many people don’t check the strength of their boxes (ECT Rating) before loading them down with stacks of paper and file folders. Files can be heavy and if your boxes aren’t rated to carry the weight, you risk the bottoms ripping out or boxes crushing one another when they are stacked vertically in storage areas. If there are chances that you might need to access some of the records stored in your boxes from time to time, we recommend using boxes with fitted lids or tie-down flaps. This allows for easier access and means you don’t need to worry with tape each time you are ready to seal the box back up for storage. It can be tempting to source boxes from people who no longer need them or just store items inside of boxes you can pick-up from local stores from their shipments, but we highly recommend using new boxes. This allows you to know the source and know there is no “hidden damage,” meaning your files will be better protected. Old boxes with water damage, crushed corners, or damaged handles are at a high risk for ripping and tearing as they are handled, or being crushed under the weight of other boxes. If you’re curious about the kinds of boxes we use and recommend to our customers, you can read more about them here. Augusta Data Storage offers new storage cartons for purchase to our customers and local businesses. If you are considering relocating your items to off-site records storage centers in the future, we highly recommend storing them in quality boxes from the start.